My grandmother wrote daily diary entries from 1932 through 2003. The diaries are rich with family history and personal information, but are also a good source of information about daily life in southern California–she also writes about the movies she and her family went to see, and what she thought of them. My grandmother was a librarian, as I am, so I get a special thrill reading about her professional activities (ordering LC cards, taking classes in Taxonomy, etc.). One of my paternal great-grandfathers, a ship broker, kept bound copy-books of his business correspondence. Nineteen of these volumes remain in the family, most an average of 300 pages long (a few are 500 pages, and a few considerably shorter). In addition to a wide variety of business correspondence related to ship brokering, he includes several letters to the foreman of his farm in Connecticut, near where I used to spend summers as a child. The volumes begin in August, 1906 and end in May, 1928; so far I have found mentions of the RMS Titanic, RMS Lusitania and the outbreak of WWI in Europe. Update: There are nineteen extant volumes, not twelve. I also changed the dates covered. I found a couple hundred medium format b&w negatives taken by my great-grandfather. I don’t know if they’re all from the same period or not, but most appear to have been shot during a 1902 trip to England and France. They were stored in an uninsulated pantry for several decades in envelopes lined with cardboard, and as a result the condition of the negatives varies: some of them appear fine, and several others have become brittle and stuck to to each other. Assessing the condition and preservation needs of these negatives (let alone their capacity to withstand digitization) is outside of my expertise, so I’ll be taking them to a consultant for assessment and, if possible, digitization. This entry was posted in Projects and tagged Digitization, Family on January 27, 2013 by Jonathan. This entry was posted in Resources on October 1, 2012 by Jonathan. “Books”. Flickr user ilovetypography.com. Source. “twilight”. Flickr user kilgub. Source. 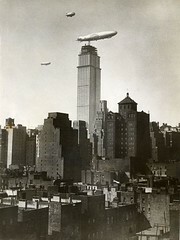 “Zeppelin bij Empire State Building in aanbouw / Zeppelin near the Empire State Building under construction”. Flickr user Nationaal Archief. Source. 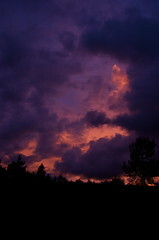 This entry was posted in Randomness, Resources and tagged display images on October 1, 2012 by Jonathan. 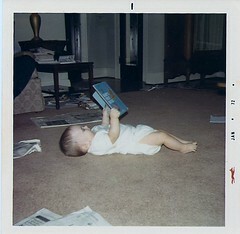 “the littlest librarian.” Flickr user DiscourseMarker. Source. “how long have you been gay?” Flickr user deflam. Source. 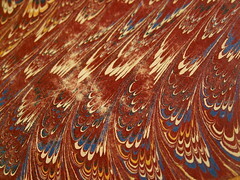 “Marbled Paper, Red.” Flickr user rosefirerising. Source. This entry was posted in Randomness, Resources and tagged display images on June 1, 2012 by Jonathan. Ok, I found this funny. Apparently Google isn’t smart enough to differentiate between an f and the long s. Pity. This entry was posted in Randomness and tagged humor on May 16, 2012 by Jonathan. William Goyen, Selected Letters, p114-115. This entry was posted in Quotations and tagged inspiration on May 8, 2012 by Jonathan. Creating a tutorial screencast like the one above is fairly easy, and doesn’t have to cost lots of money. In this post, I’ll describe how I made my video, and give you a few suggestions about making your own. Many thanks to the Berkeley Heights Public Library for graciously allowing me to use their website and catalog for this video. This entry was posted in How To, Projects and tagged screencasts on November 6, 2011 by Jonathan. This volume is a sequel of sorts to Cal Gough and Ellen Greenblatt’s Gay and Lesbian Library Service (1990). It covers the same ground as its predecessor, updating and expanding topics, as well as introducing new ones–most notably the impact of internet technologies and access for library services and patrons. There’s a little bit of something for everyone! The book is well organized and easy to navigate, with a good index. Unfortunately, its size and the tightness of the binding make it a little unwieldy to hold comfortably with one hand, but the text is not especially small, so it is easy to read. The highlight of the book for me was James LaRue’s thoughtful letter to a parent who had challenged library material. His considered response should be mandatory reading for all librarians and library students, as it clearly, rationally and unequivocally lays out the case for why his library felt the book needed to be included, while respecting the complainant’s values. Thankfully, the letter is also available to read on LaRue’s blog. 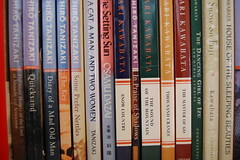 This entry was posted in Reviews and tagged books on June 26, 2011 by Jonathan. I’ve collected my Ocean County Library Staff Development Day 2011 tweets into this handy post, removed the #oclstaffdev11 hashtag and tweaked a few things for readability, sorted them in chronological order, and included links to the original tweets (if you want to respond there). Enjoy! This entry was posted in Projects on June 10, 2011 by Jonathan. It is a truism that people do not read end user license agreements (EULAs) before accepting them. As Jeff Sauro mentions in his post at Measuring Usability, not only are such agreements long and boring, but they also present a single legitimate choice for the end user: agree to the terms and proceed to use the software or service, or decline the terms and do without. I confess to not spending much time poring over every EULA. As an undergraduate philosophy major, I can certainly understand the need for precision in language, especially when describing a contract between two or more parties. But there’s something to be said for clarity, too, as well as communicating in plain language. One of the hardest assignments I was ever given was to write a coherent philosophical argument in a single paragraph. In such a tightly constructed document, it’s important to find not only the right word, but also the concise phrase. Compare one (admittedly dense) paragraph with the many pages of obtuse legalese in each EULA. Starting June 1st, I’m going to track the license agreements that I encounter over the next year and save a digital copy of each, compiling them in order to get a total page count. Why? Mostly it’s an effort to make visible something that typically goes unseen. What usability issues are there in accessing, reading, and understanding these agreements to which we are (nominally) legally binding ourselves? What if anything does this suggest for library services? Finally, the librarian and latent information designer in me wonders about EULA reform. This entry was posted in Ideas, Projects on May 28, 2011 by Jonathan.